On May 18, 2016, the U.S. Department of Labor issued its long-awaited final regulations that broaden overtime pay to include an additional 4.2 million Americans. 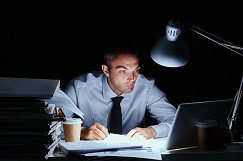 Under the Fair Labor Standards Act, the minimum salary threshold to qualify for one of the “white collar” exemptions from overtime pay is now $47,476 per year, which amounts to $913 per week. Formerly, the minimum salary was $23,600 per year or $455 per week. Under the new regulations, the white collar exemption will not apply to any employee earning less than the minimum salary, even if the employee performs the necessary duties associated with a specific exemption. The new salary threshold is significant not only because it more than doubles the previous salary threshold, but also because it will automatically increase every three years. The new rate is based on the 40th percentile of weekly earnings for full-time salaried workers in the nation’s lowest-wage census region—currently the South. Maintaining the threshold salary at that percentile will ensure that the minimum salary to qualify for an overtime exemption keeps up with increasing wages. The new regulations also increase the minimum salary necessary to qualify for the highly compensated employee exemption from $100,000 to $134,000, set at the 90th percentile for full-time salaried workers nationwide. In addition, for the first time, bonuses and commissions will count toward as much as 10% of the salary threshold amount. Raise salaries to maintain the exemption. Pay current salaries and pay overtime when employees work more than 40 hours in a week. Reorganize workloads, adjust schedules or redistribute work across staff members. Adjust wages between regular earnings and overtime so that the total paid to the employee remains largely the same. Contact one of the attorneys in the Stokes Lawrence Employment Group if you need assistance with employee classification or have questions on how the regulations may impact your business.